Size of this PNG preview of this SVG file: 582 × 599 пиксел (нүкте). Басқа ажыратылымдығы: 233 × 240 пиксел (нүкте) | 466 × 480 пиксел (нүкте) | 582 × 600 пиксел (нүкте) | 746 × 768 пиксел (нүкте) | 994 × 1024 пиксел (нүкте) | 699 × 720 пиксел (нүкте). English: The Seal of the United States Federal Bureau of Investigation. For more information, see here. 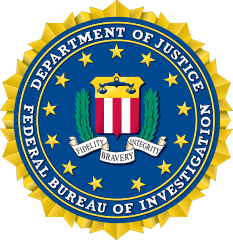 Español: El escudo del Buró Federal de Investigaciones (FBI). Para obtener más información, véase aquí (Inglés). Français : Le sceau du Federal Bureau of Investigation (qui est littéralement traduit par « Bureau fédéral d'enquête », ou très couramment nommé par son sigle FBI}. Pour plus d'informations, voir ici (en anglais). Қайнары Extracted from PDF version of a DNI 100-day plan followup report (direct PDF URL here). Public domain from a copyright standpoint, but other restrictions apply. 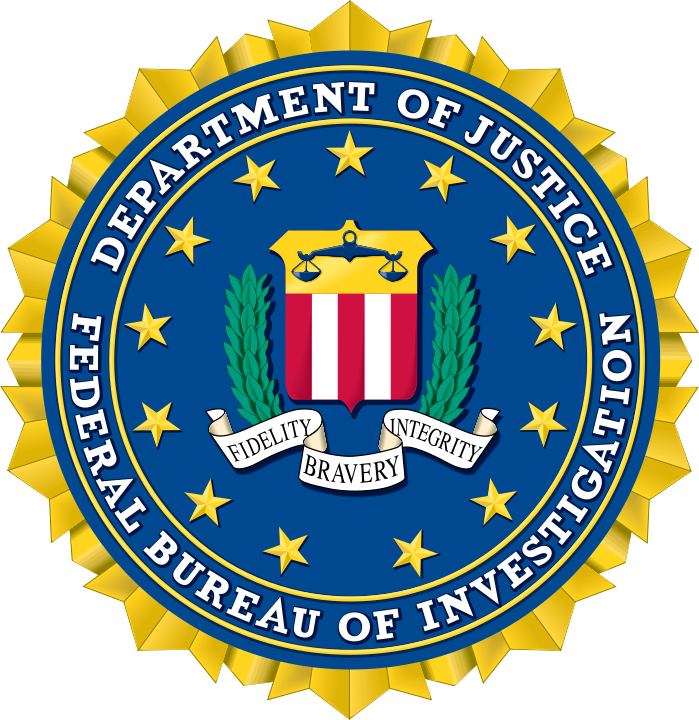 In the US, unauthorized use of the FBI seal, name, and initials are subject to prosecution under Federal Criminal law, including 18 U.S.C § 701, § 709, and § 712.
ағымдағы 19:58, 2016 ж. қазанның 2 699 × 720 (466 КБ) Clindberg That is a fundamentally different version; may be better but please upload as a separate filename. 19:29, 2016 ж. қазанның 2 720 × 720 (586 КБ) Shentino Previous version has messed up letter "serifs", this version looks cleaner.